VERO BEACH – On June 17th, at 9:25 AM, Vero Beach police officers responded to Kountry Kitchen, 1749 Old Dixie Highway, in reference to an abandoned child. Upon arrival, the officer made contact with a couple at the restaurant, who stated that a white female approached them as they were exiting the establishment. They advised that the woman was carrying a small child, approximately 2 years of age. The woman tried to get the couple to take the child from her and after stating “I can’t do it” placed the child down on the ground in front of them, got into a black truck and left the parking lot. 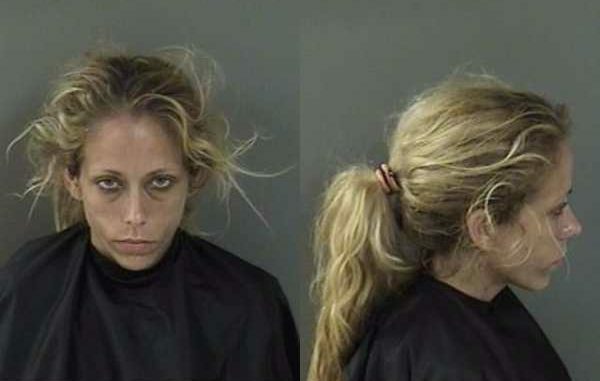 Vero Beach police officers were able to identify the vehicle and obtain an address for the female in question. VBPD detectives made contact with the female, identified as Amber Warner, at her residence. Under an investigative interview, Amber Warner was placed under arrest for Unlawful Desertion of a Child. Subsequently, Warner was also charged with Resisting Arrest Without Violence for resisting the arresting officer during transport. Warner’s 2-year-old son appeared to be in relatively good health and was released to the custody of Department of Children and Families.